Hey guys! 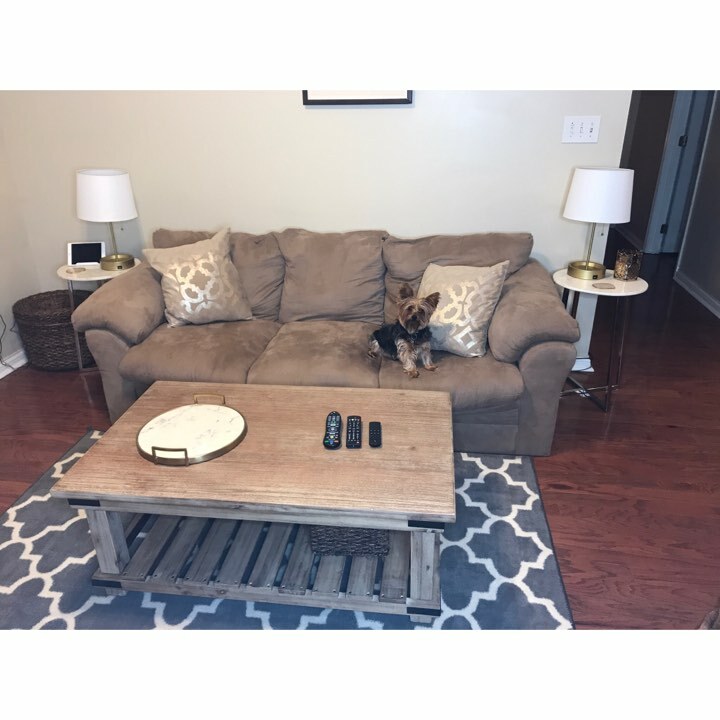 Today I wanted to do a quick blog post about my living room because I am currently obsessing over my new coffee table. Its from World's Market and if you haven't checked them out you need to. Living in a condo and knowing I have to move in the future makes me search for high quality furniture at an affordable price. So everything in this post is under 200 dollars. The first thing I wanted to link are the lamps from Kirlands. These lamps have USBs that charge your phone and while they charge a little slower than usual, I love them. Next, I wanted to talk about my router solution. In the corner you'll see I have hidden my router in a whicker basket from Target. Our router used to sit on the side table and pretty much took up the whole thing so I love this simple solution. Other things from Target are the gold tray, side tables, and rug. Last, I love these geode coasters. They have such an upscale feel and are a great conversation piece. Hope you guys enjoyed! Hope you have an amazing week ahead.